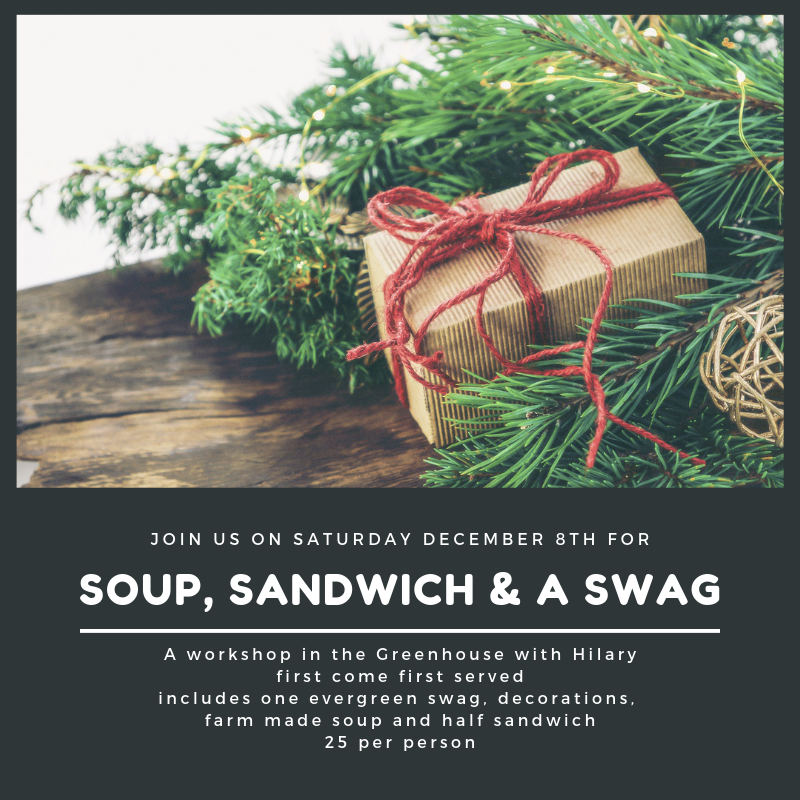 Join us on Saturday, December 8th at noon for a winter green swag building workshop with Hilary Armour, our Garden Center Manager, as she demonstrates the process while you enjoy hot soup and half a sandwich in our heated greenhouse. Then, build your own to take home and enjoy! The 25 dollar ticket includes farm made soup and half a sandwich and one beautiful evergreen swag decorated by you! Stop by the farm on Saturday, buy your entry at the registers, grab lunch and head to the greenhouse at noon! First come, first served.